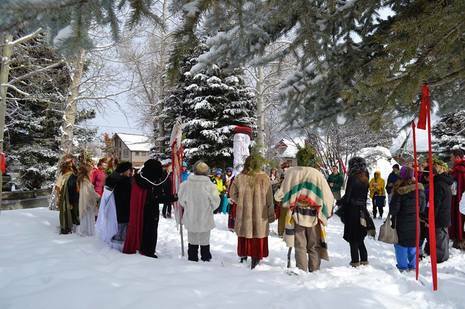 Winter Ritual of Re-Creation and Re-Membrance: Crested Butte, CO Winter Soulstice/New Year Ceremony - Going A-Souling! 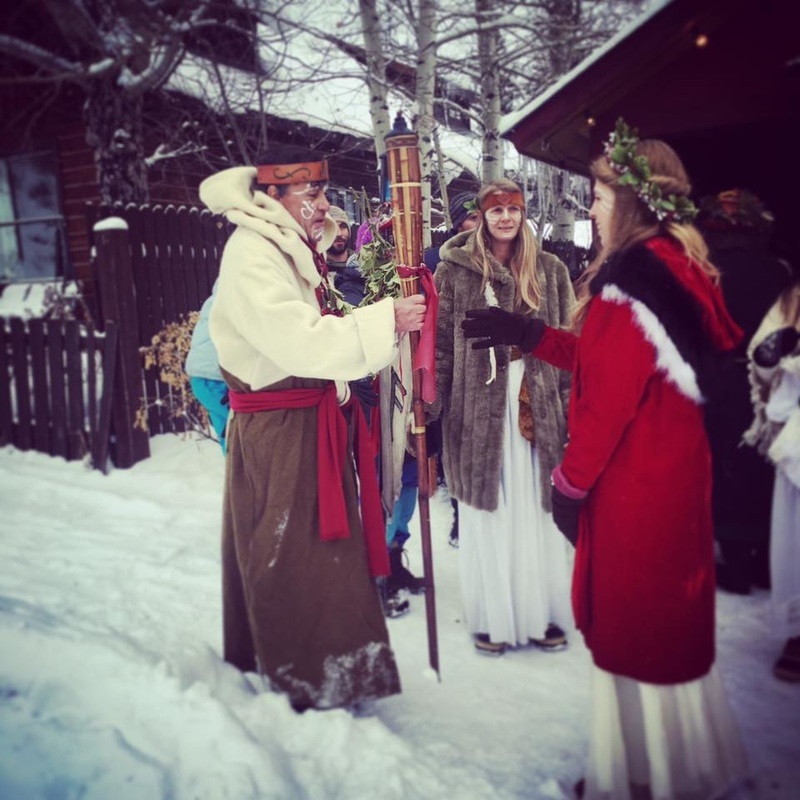 Re-creating the Ancient Tradition of our European and Nordic ancestors, as we walk through our community offering blessings and Good Cheer to all businesses, local family, friends and all visitors. 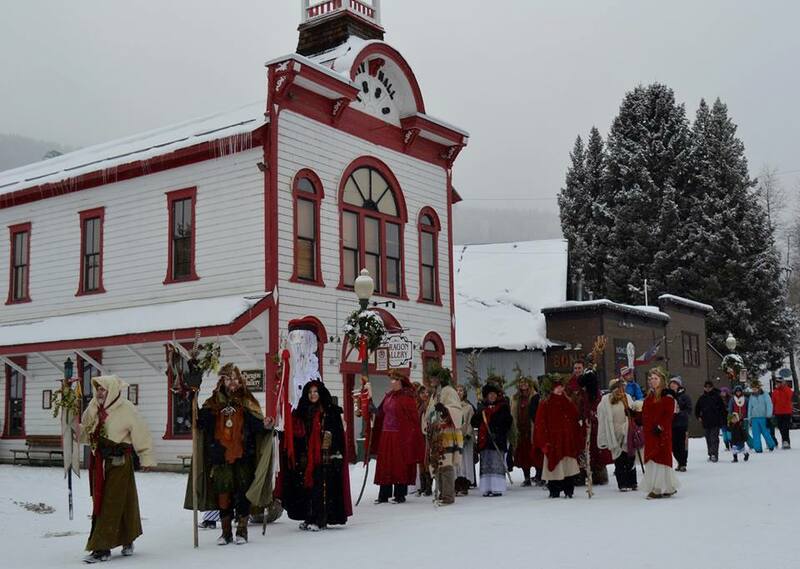 DECEMBER 21 & 22 Celebrating 12th Annual Winter Solstice-Wintertok! Gather at the Octopus Cafe to create evergreen wreaths, paint faces and don our warmest regalia of White, Red and Fur as the entire community of Crested Butte, CO honors the Solstice by going A' Souling in a procession through the village to honor plentiful Snow as Father Winter passes the torch to the Green Man of Spring to come. 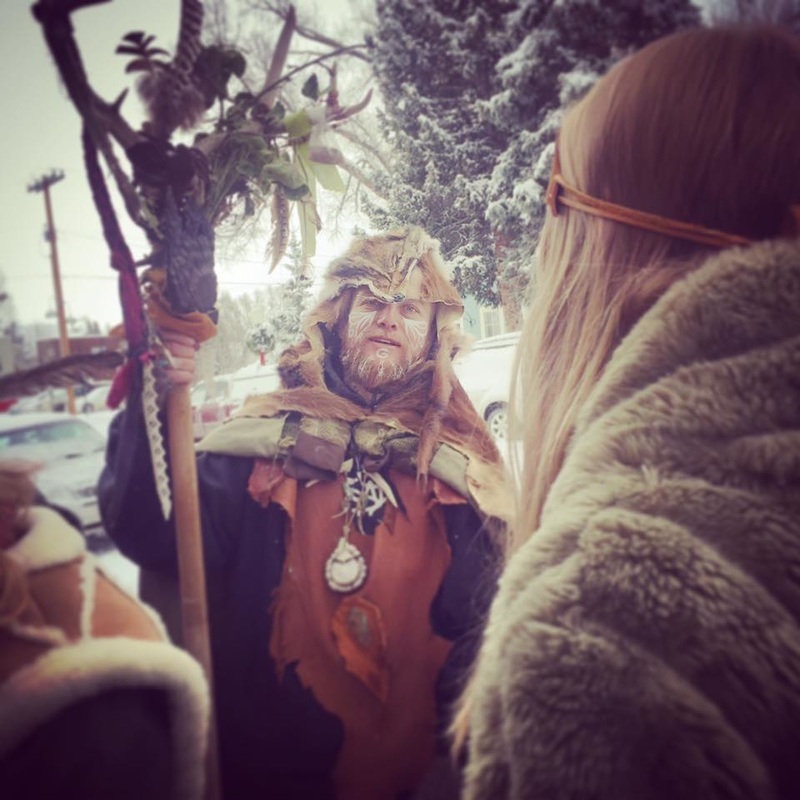 At @11:15am We gather in Totem Pole Park for a spontaneous Ceremony to honor the Ancestors, the Spirits of Fire, Ice and Frost, the Nature Spirits, the Maiden of Light, the Mountain Spirits and the wild man Krampus as the denizens of the Deep Dark arise and enter the land of Sun's Return. Fiddling and songs of the seasons performed by Lizzy Plotkin and Sophia Chudadcoff! The Green Man and the WiseWomen Norns of Norse tradition share Seeing, promises and blessings for the times to come. The stories of our ForeParents, the sacred Land, the ever-changing Seasons and our communal generosity of spirit are shared. Songs, traditional dance, Elders' and Wisdom-Carriers narratives are shared around the potluck feast. We re-Member and re-Claim our history and most ancient heritage from Norse, European, Slavic, Germanic and Celtic traditions. We celebrate our Native Spirit! Glad Jul och Glatt Vintersolstand! Happy Yuletide and Soulstice Season! 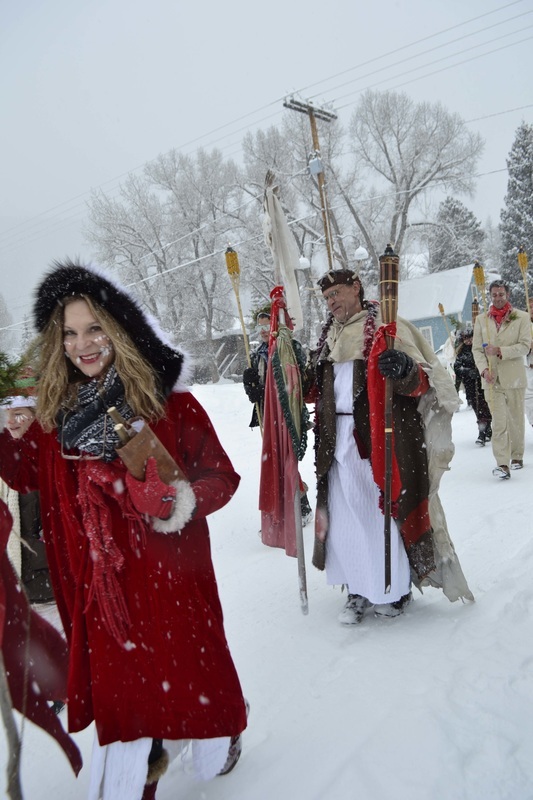 PROCESSION OF GRATITUDE FOR SNOW!